Team Coulson is back, baby! After an agonizing wait for fans and the recent cancellation of ABC’s other Marvel series, Inhumans, Marvel Studios and ABC have finally officially confirmed that Agents of SHIELD will return for a sixth season, “continuing the adventures of your favorite agents.” No mention was made of this being a final season in the announcement—although Variety reports that the renewal will be for 13 episodes, rather than the typical 22. So for now at least, the future of Coulson and the Crew seems to be in safe hands. That is, unless a certain big villain in the Marvel Cinematic Universe has anything to say about it. SHIELD has been on a roll in its past few seasons, but the fifth—due to end this week—has been barrelling toward a conclusion that could seemingly take the show into a head-on collision with the climax of Avengers: Infinity War. 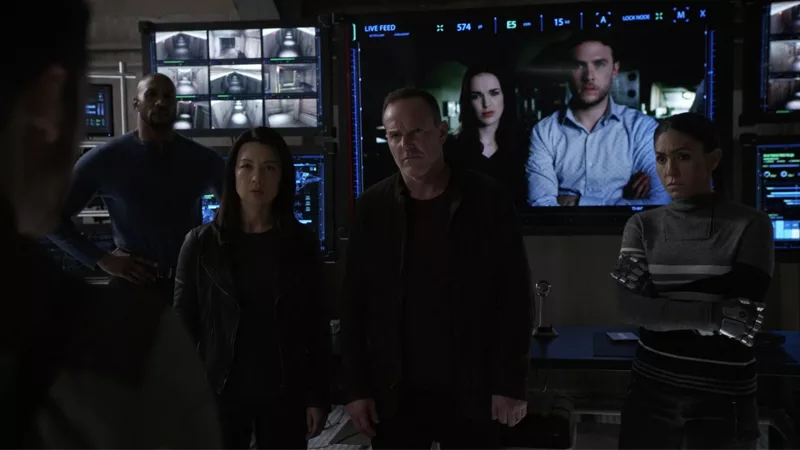 Now that we know a sixth season is on the way, if that ends up being the case, Agents of SHIELD will have some incredibly fascinating material to deal with as it continues. We’ll bring you more on SHIELD’s sixth season as we learn it.